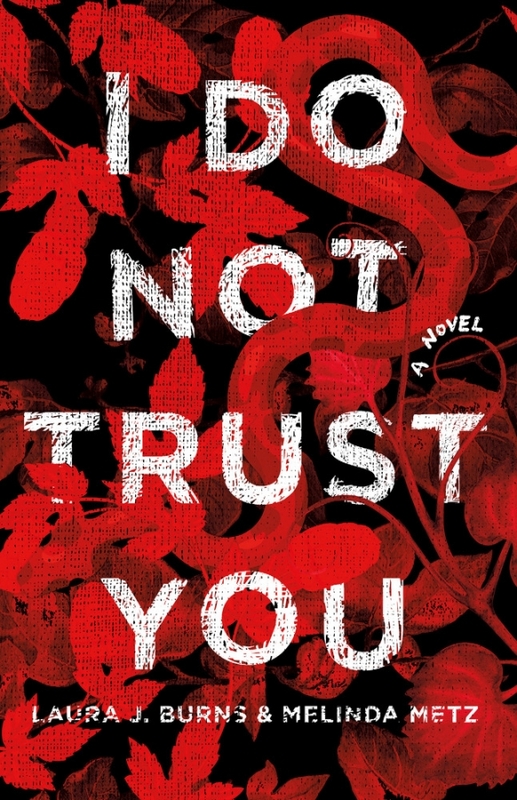 Spotlight on I Do Not Trust You by Laura J. Burns & Melinda Metz, Plus Excerpt & Giveaway! Today we're excited to spotlight I Do Not Trst You by Laura J. Burns and Melinda Metz. Read on for more about Laura and Melinda and their book, plus an excerpt, and giveaway! Laura J. Burns has written more than forty books for kids and teens, touching on topics from imaginary lake monsters to out-of-control Hollywood starlets (they have more in common than you might think). With Melinda Metz, she has also written for the TV shows ROSWELL, 1-800- MISSING, and THE DEAD ZONE. Laura lives in New York with her husband, her kids, and way too many pets. Melinda Metz is the author of over 75 books for kids and teens, including the Roswell Highseries, basis of the TV show Roswell. She often teams up with the lovely and talented Laura J. Burns; together they wrote the Edgar Award nominee Wright and Wong: Case of the Nana-Napper, and YA thrillers Sanctuary Bay and the upcoming The Lost Map of Secrets and Chaos. Melinda's first adult book, Talk to The Paw, which launches a series, comes out in February 2018. She lives in North Carolina with her dog, Scully, who isn't as well-behaved as her namesake. Meet I Do Not Trust You! Two winners will each receive a hardcover copy of I Do Not Trust You (US only). I love love love the cover and the synopsis is intriguing. My interest is piqued! The cover is stand-out, and this adventure story sounds like a great pageturner! Looking forward to this one! Beautiful cover. The cover is an eye-catcher and will attract YA readers. The story sounds exotic, suspenseful, and adventurous. I look forward to reading this. The cover is dark and unique. The synopsis is exciting. Sounds like an awesome read. The dark and artistic cover matches this suspenseful and intriguing synopsis. I like the colorful design of the cover. This sounds like a mysterious adventure.